At Benchmark, we continually monitor the market and your loan, so you don’t have to. This way, you are offered the perfect product for your position, and we strive to always get you the best mortgage possible. Benchmark Mortgage is a nation-wide lender headquartered near Dallas, TX. For nearly two decades, we have been building a dynamic lending community. 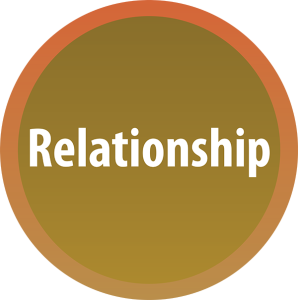 Our entire business is based on the preservation and strengthening of present and future relationships. The power of Creativity and Innovation is our edge, and sets us apart in the mortgage market. Buying a home can seem like a daunting task, but it doesn’t have to be one. This is the Benchmark University. Browse, learn, and enjoy the journey to your new home. We make an impact beyond the mortgage industry. We honor wounded veterans, promote their support, and help them re-integrate into successful civilian life. Benchmark is a remarkable community of mortgage professionals. At Benchmark, we have a clearly defined set of core values that we live out and practice every day. Having carefully selected each team member one person at a time, and with an average of over a decade of individual experience, we have assembled what we believe is the best team in the mortgage industry today. Not only does our team go the extra mile to serve our branches, loan officers, and support teams, we also stand ready to deliver an exceptional experience that is second to none for our customers. Please reach out and let us know if we can help you take advantage of the Benchmark opportunity today. Relationships come before everything else at Benchmark. You can see this philosophy in our current branches and our growth plan of focusing on fewer of the right branches over large scale growth. Benchmark was founded on a very specific set of Core Values as a way to differentiate ourselves from other mortgage companies in the market. These 5 values have served us well and will continue to guide our corporate decisions, shape our culture and serve as a filter when we are considering to align with a partner or branch. Should you buy a house this spring? We give you four reasons why buying a house like this one may be the right decision. Wisdom suffers not the fools.